Woodside Wildlife Park Lincolnshire - Refreshments. 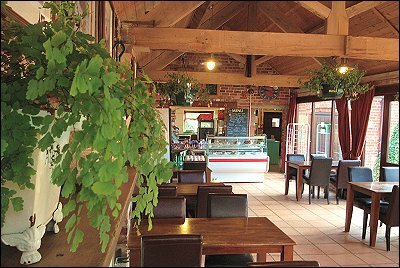 Our traditional tearoom serves a variety of freshly prepared sandwiches, salads, jacket potatoes and soup. Try one of our delicious home-made cakes with mocha, cappuccino or any other of our delicious hot beverages. On warm, sunny days cold drinks and ice creams are also available. For your little tiger cubs our lunch boxes are just the thing to keep them roaring all day long!